Want a houseplant you can keep alive? 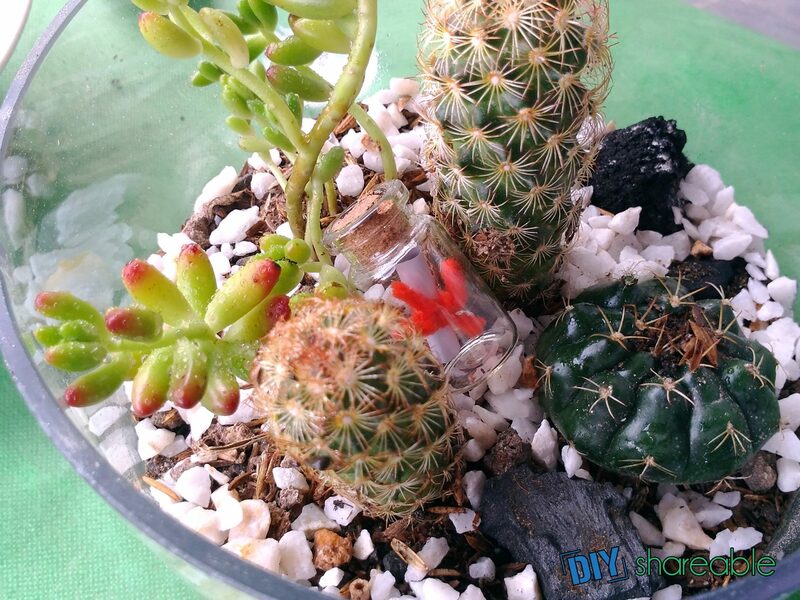 This cool, tiny DIY succulent terrarium will help liven up your décor & make you feel like you have a green thumb. I have a pretty unique talent…. I can kill virtually anything green that passes through the doors of my home. Potted plants, flower arrangements, herbs – my back thumb has annihilated all of them. Even lettuce wilts as soon as it makes it into my home. What’s even worse is that I LOVE plants, so killing everything that grows can get pretty depressing! What’s a girl to do when she wants to be a master gardener but instead possesses the black thumb of doom? Well, I’m not one to give up easily. I knew there must be some kind of plant out there that wouldn’t run screaming when it saw me hit the garden aisle at the store. I searched and did my research and finally found some plants that aren’t just easy to take care of – they also make for a pretty eye appealing terrarium. I’m proud to say that I am now the owner of this really cool, tiny DIY succulent terrarium that took me less than an hour to make and is somehow still alive after a month! Who knows, I may move on to an air plant next. They should be easy to maintain, right? Lay pebbles at the bottom of your glass bowl. This will be your first layer, and it should be one inch thick. This layer will hold the excess water since your terrarium does not have drainage holes. The second layer will be composed of the activated charcoal. Arrange the activated charcoal neatly over the pebbles. The charcoal will absorb the foul smell that can form from the excess water. Pro Tip: You can also find activated charcoal tablets or capsules in the pharmacy section of most stores. These can be laid on top of the pebbles or opened up and sprinkled over the pebbles. Add soil mix. The soil will also fill the gaps between the charcoal so put in the soil as carefully as you can to avoid moving the charcoal layer. As you put the soil in, start adding the plants. Be careful with the cacti as they have thorns that can really hurt! You need to wear protective gloves for this step. Also, give the plants some room to grow. Pro Tip: Create divots in the soil where you’d like to place your plants being careful not to disturb your charcoal layer. Carefully sprinkle soil over the top of the roots and divots to secure the plants in place. If you have extra pebbles, scatter them over the soil for decoration. If you are have a jelly bean plant, be very careful, the “jelly bean” arms are very fragile and can easily snap off the stem. 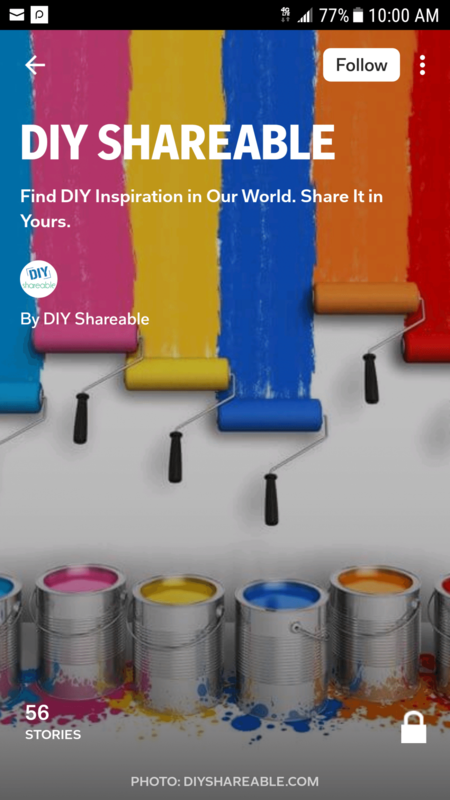 Now it’s time to add water to your DIY terrarium. Use a spray bottle so you don’t flood your plant. Remember that these plants need only a bit of water. Over watering these plants can kill them (which we all know I’m an expert). The spray bottle makes it virtually fool proof though! This step is optional but you could also add some decorative pieces to the terrarium. Seashells, decorative glass, or small knick knacks all work well. You guys have no idea how thrilled I was when I finally found plants I couldn’t kill! Honestly, you should be keeping plants in your home because they actually purify the air in your home. The more plants you keep – the cleaner your air. I found that depending on the rooms you’re keeping your terrariums in, you might not need to water them at all. I made one for the bathroom and the moisture in the air from the shower is provides just enough water for the plants. Even better, most succulents will regrow from either leaves or babies that off shoot from them. Aloe, hens, chicks and some cacti will all create little off shoots that you can separate and move to a new terrarium. Jellybean plants, porcelain roses and more can be regrown from the leaves that break off of them. So not only can I keep these plants alive – I can grow NEW ones. Basically, I’m now a master gardener and you can be one too! Yes, well done. I will try this soon.